saves you time, money and frustration. 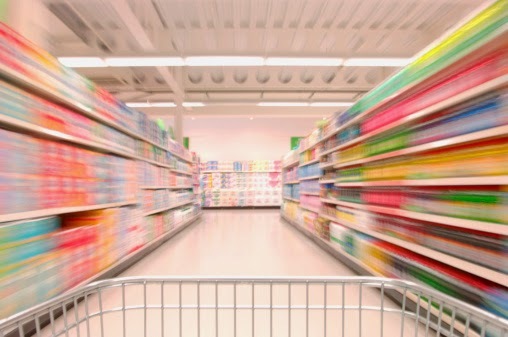 When I first went to the store to buy adult diapers for my mother I was surprised to learn there are so many choices when it comes to incontinence products. It seemed it would be a difficult and almost impossible choice to find just the right one. Many people aren’t shocked to learn that nearly 25 million people deal with the issues surrounding incontinence. The individuals who need to manage incontinence along with caregivers are always looking for strategies to better deal with this issue while seeking treatment. However, because of the many choices which are available it can be difficult to choose. Consumers are very confused about which incontinence products will work best for them or a loved one. In a recent study, Kimberly-Clark, makers of Depend and Poise brands, discovered that those buying incontinence products for the first time, waste $130 on average in trial and error mode. That’s about 10 bags of products that can’t be returned, once opened. That’s why the Free & easy Incontinence Product Finder was developed. It saves you time, money and frustration by making it easy to sort through hundreds of products - fast. Questions? Call 800-985-1353 & speak with one of our knowledgeable product specialists. can be the right choice. Depend Protection with Tabs offers great overnight protection-Many times one of the biggest challenges is making sure the wearer of any incontinence product is given extra protection at night. Due to the fact the individual using the incontinence product is asleep often time’s leakage and accidents occur more often at night. However, when Depend Protection with Tabs is used the wearer and the caregiver can be assured the extra absorbency which is provided can help to protect delicate skin and assure the wearer and the bed remains comfortable throughout the night. Depend Protection with Tabs is an affordable choice is a good value choice-The bottom line is incontinence supplies can be costly. Depend Protection with Tabs offers a high quality incontinence product that will provide more protection than cheaper brands and . In addition, studies show mistakes are often made when buying adult diapers. This just means money is wasted on an incontinence product which is not right. In order to make sure that Depend Protection with Tabs is the right choice for you or someone in your care you can take advantage of The CareGiver Partnership’s ‘try before you buy’ service program (instead of program, say service). Samples can be purchased in sets of 2 to 4 for just $3.49. 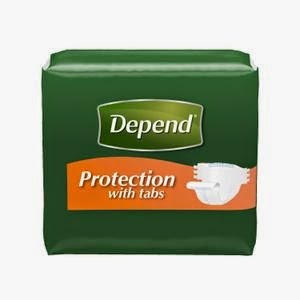 Depend Protection with Tabs offers an ease for changing-Because Depend Protection with Tabs is easy to remove and change, many caregivers prefer this style of adult diaper. The tabs allow the caregiver to easily remove the incontinence product and put on another one without having to lift and struggle. In addition, the tabs remain secure while the product is being worn which offers another layer of protection and security for the wearer of this adult diaper. Finally, the tabs are refastenable, so a caregiver can undo the product, check and refasten it without damaging it. It should be noted choosing the right incontinence product is not enough. Delicate skin needs to be protected from the effects of being exposed to urine or feces. The good news is there are skin care products which are specifically made to cleanse, moisturize and protect delicate skin. These incontinence supplies will help to cleanse, moisturize and protect. In addition, a disposable washcloth can be used to help clean up during changes then it is simply thrown away.